Samuel: A Study In Character - "What Lies Beneath"
This week I am concluding the sermon series that we've been working on for the past several weeks: Samuel - A Study in Character. Although we've been focusing on stories from Samuel's life, we've quickly discovered that his life is closely intertwined with the lives of both Saul and David---the first and second kings of Israel. Saul was the first choice, so to speak---but he was chosen as a result of the demands of the Hebrew people to be like all the other nations. David was God's choice---chosen from the margins, an unlikely young man from an unremarkable family. Okay, what just happened here? To begin with, Samuel is moping around because he's upset about how Saul had screwed up and gotten himself all rejected as king. In the same way that God motivates Joshua after Moses' death (Moses my servant is dead... Now go), he motivates Samuel. He sends him to Bethlehem, a small town about six miles outside of Jerusalem, to a family who is of the tribe of Benjamin. They village leaders are freaked out because Samuel has a direct line to God, so to speak. They worry that he is coming to pass judgement on them, or wreak prophetic havoc. Samuel tells the sort of white lie that he is just there to sacrifice, but what he's really there to do is find the next king of Israel. It is then that Samuel meets Jesse, the man whom God is telling him is the father of the next king. Unlike Saul's father Kish, Jesse is not a man of "good standing," a rich man with a rich heritage. Jesse's grandmother Ruth was a pagan Moabite. One of his ancestors was a Canaanite woman who was almost stoned to death for adultery, and who slept with her father-in-law to conceive a child. Going farther back we find that Jesse is related to Rahab, a prostitute and a Canaanite from Jericho. Jesse didn't ancestry.com to tell him that he had a lot to be ashamed of when it came to his roots. Samuel sees all of the tall, good looking sons of Jesse and keeps thinking that the next one that is presented will be the king. But God keeps telling him that none of them will do. In fact, he indicates that Samuel is doing the exact thing that got everyone in trouble when it came to Saul, who looked good on the outside but quickly turned into a willful monarch with a penchant for selfish behavior. When he asks if all of the sons are present, Samuel is told there is an eighth son, who is out tending the flocks in the field. When the young shepherd is brought before Samuel, he knows instantly that the young man is the one. He anoints him with oil right on the spot in the presence of his brothers, which I am sure caused no end of problems with him at home. But he does have the power of the Holy Spirit, which falls upon him to stay from that moment forward. Some questions arise as we read this---at least they do for me. First, "Why David?" What was so special about him? And "What's up with the anointing oil?" Why was it so important for Samuel to anoint him in the presence of people? And finally, "What can we learn from this story about God's ideas of grace?" What is going on here that teaches us some valuable lessons about how God views those of us who are broken and incomplete? God finds possibilities for grace in the most unexpected places and unlikely people--including you and me. Okay, let's take on the first question: "Why David?" First, one of the keys to this is in verse seven where the Lord tells Samuel: "...man looks on the outward appearance but the Lord looks upon the heart." The word "looks" here is defined a number of ways in Hebrew, depending on the context. It could mean simply, "to see or to view," but it can also mean "to realize or to know." In this particular verse, the last definition seems to fit pretty well. Man "looks" or sees what's on the outside, but God "knows" what's on the inside. Then there's this whole discussion of the "heart." In the Ancient Near East, the heart wasn't simple the seat of unbridled passion. It was the locus of emotions that were subject to the will and the center of the personality of an individual as well as the focal point of a relationship with God. David, it seems, has a whole lot more going on than looks---although we are told that he is handsome. His inside matches his outside. Whatever is going on within his heart has also translated into something attractive in his appearance--where humans would be "looking." Second, the fact that he was a shepherd was also a bonus. Kings in the ancient world were often depicted as a shepherd, and because David was already a shepherd it made for some compelling imagery. Some writers say that it was his devotion to his flock of sheep that kept him from attending the sacrifice right away. Others say that his absence indicated an aversion to ceremonialism. I think it might have been something else. I think he didn't think he was good enough to be there. Third, and quite simply, this was all part of God's plan. The Lord sees the end from the beginning, and this was part of the way God wanted things done. He knew all along---even when he allowed the people of Israel to have what they wanted in a king with Saul---that David was to be king. 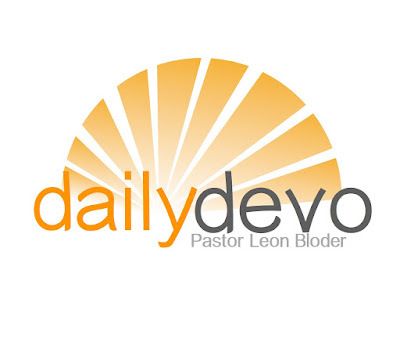 Finally, God often chooses those who are overlooked in order to accomplish his purposes. David was the eighth son. He wasn't even really at the table, maybe not even invited, but definitely not feeling worthy. 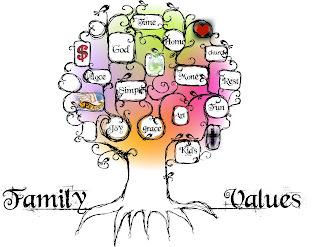 David's family had no pedigree, not a lot of wealth, and nothing to brag about. He was part of a small tribe, in a small town with a small view of himself and his people. And the fact that God chose him speaks to the way that God chooses whom God chooses, despite their background, qualifications, appearance, or abilities. God seems to prefer those who are "despised and rejected." His choosing of a good looking, but powerless young man demonstrates that among the marginal there are beautiful people, among the little ones there is potential for greatness. Now let's address that second question: "Why Oil?" David was anointed in a highly symbolic moment to indicate that he was a vassal to God, subject to His rule. 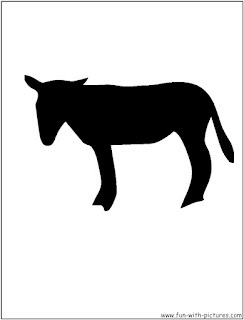 This was a symbol that was lost on Saul, who was anointed the same way, but rebelled against the Lord. Oil symbolized the gifts of God to the people, and it also symbolized the responsibilities of the leader who was being anointed to preserve and protect those gifts. Oil was also a sign of election---that God had chosen---and a symbol of the endowment of the Holy Spirit. God knows that humans need tangible things sometimes to connect us to the holy and the sacred truths about God. So at last we get to that final and important question: "What Can We Learn?" And there's this... a teenage girl named Mary bravely accepts God's will and faces the very real possibility that she might be killed because she's pregnant out of wedlock---with the Savior of the Universe. There's an internal and an external application to all of this. First the external application. It's far too easy for us to judge people by what we see on the outside. We all do it. I remember when I was going to Florida State University. I had a class with a young man who looked like he smoked a huge bowl of ganga before he came to school. He had dreadlocks, wore cargo shorts and sandals even in the dead of winter, and always had some sort of hippie looking shirt or poncho draped over his skinny shoulders. Everyone knew this guy. I assumed he was a pot dealer. Then one day he walked up to me after class, and said, "Hey man, I have been meaning to ask you. Do you have a church that you attend?" I said that I did, and that I actually was the youth director at said church. "Cool!" he exclaimed. "I was going to invite you to come to mine, if you didn't have one. Oh, and we have this awesome Bible study that we do each week here on campus, if you ever want to come." Needless to say, I felt like crap. There's also an internal application of this story. I think that most of us walk around feeling like we are not worthy. We stay out tending the sheep, so to speak, because we don't feel good enough to come to the party. We have believed what our culture has told us is important. We have even believed what church-y culture has told us what is important. We think that we are supposed to have everything together before we can serve God---no doubts, all our problems solved, those sins that we commit on a frequent basis resolved and forsaken... You feeling me? My son was talking to a friend of his recently, who told him that he was about to give up on Christianity because he didn't feel like he would ever be able to live up to the expectations that he believed to be upon him. This young man believed that it was about what he could do, and not for who he was that God loved him. I read this story about the original TV Superman, George Reeves, who was often asked to do public appearances in his Superman costume. One day, it was reported, a little boy brought his father's gun to an appearance by Reeves and declared that he was going to see if the bullets would bounce off of him. Reeves talked the boy into putting down the gun by telling him that if the bullets bounced off his chest they might hit someone else. He never again appeared in the costume. Some people say that Reeves made up the story so he wouldn't have to wear it, but I say it doesn't matter. What matters is the fact that no matter what he wore on the outside, he wasn't really the person he was portraying. Far too many of us keep trying to appear as "SuperChristian" even though we know that we are not. God doesn't expect us to be SuperChristians, he just expects us to love Him, follow His son and live like we've been redeemed. He will take us in whatever state that we are in and use us for His glory if we are willing. God finds possibilities for grace in the most unexpected places and unlikely people---including you and me. Here this blessing, if you have been walking around feeling unworthy and unwanted. God loves you beyond all love. He has claimed you as his own. You have gifts and abilities that need to be used for the sake of the kingdom. Consider yourself anointed, and go in peace. 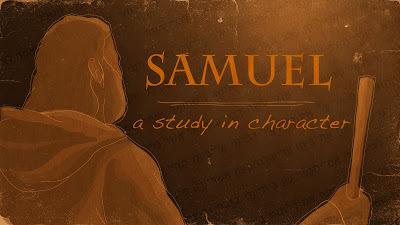 Samuel: A Study In Character - "The Afterthought"
Samuel: A Study In Character - Week 3 "Wrong Choice/Right Moment"